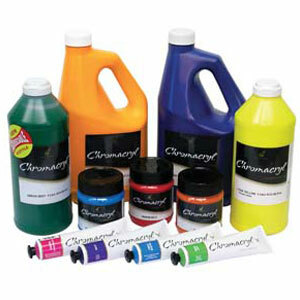 Chromacryl Student Acrylic Paint is a vibrant, high quality and fast drying student acrylic. It has excellent coverage, is non-toxic and water soluble making it the ideal acrylic paint for the classroom or home. Chromacryl Student Acrylic Paint has a warm and cool colour system to make colour mixing easy. The range can be used with Chromacryl mediums to achieve block and screen printing, textile, watercolour and collage techniques.